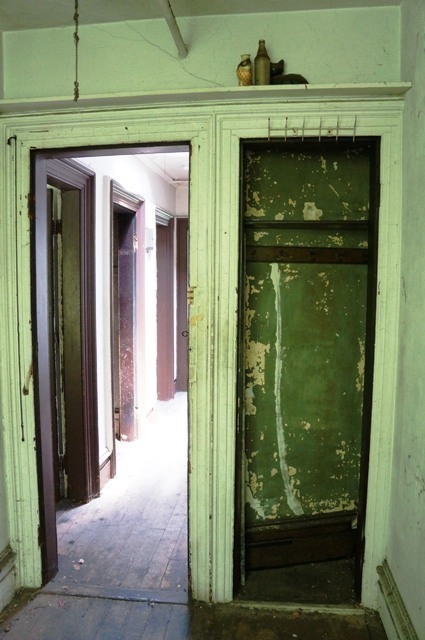 EV Grieve: The charmingly shabby interiors of 104 E. 10th St. 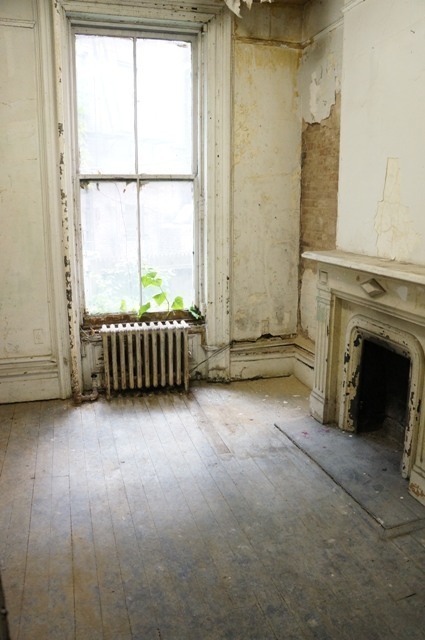 The charmingly shabby interiors of 104 E. 10th St. I've mentioned this neo-classical townhouse at 104 E. 10th St. before ... where playwright, poet and performance artist Edgar Oliver once lived, as Jeremiah wrote at Vanishing New York here. Built in 1879, this magnificent, sun-drenched residence is a restoration enthusiast's dream project. The building offers an unparalleled opportunity to design the home you've always wanted. 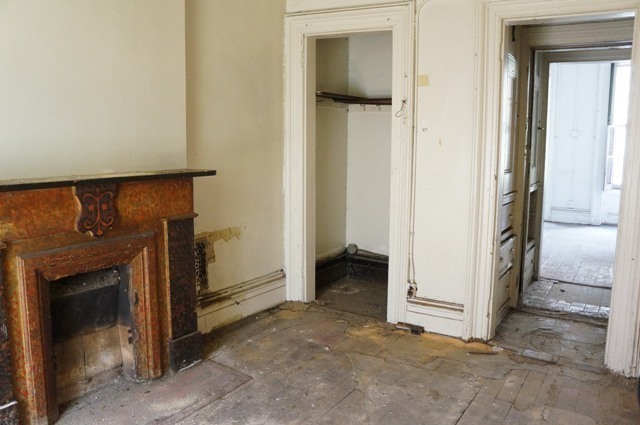 Its current features include four floors, eight fireplaces, skylight, original moldings, a quaint south-facing garden, an English basement with a separate street entrance, plus a basement below. 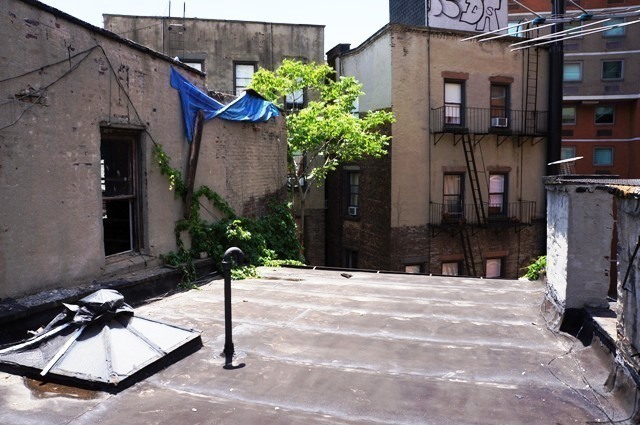 With additional air rights, this building is primed for vertical expansion, offering opportunities for a roof deck, duplex unit, and more. 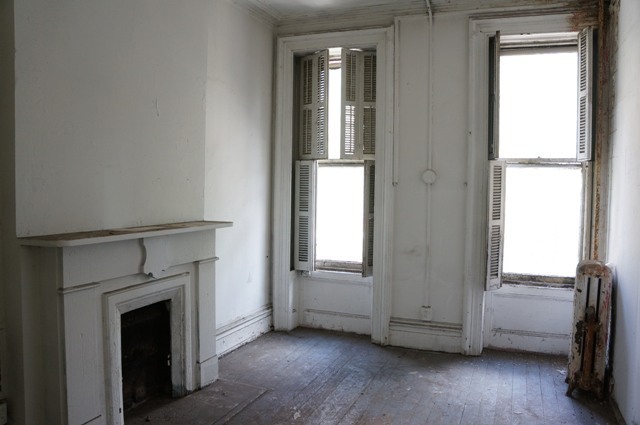 This distinctive residence occupies a unique place in New York's history, having served as a community hub and boarding house for East Village artists since the early 1900s. 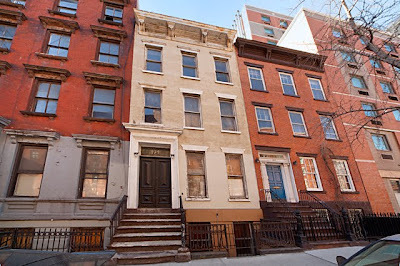 A Landmarked building located on one of the city's finest blocks, it offers easy access to public transportation, as well as some of the city's best cafes, restaurants, bookstores, and universities. I'm imagining the spirits of these East Village artists of days gone by congregating in that front room with the paint chips on the floor and the weed working its way inside the window... and wondering, What in the hell happened to the neighborhood. 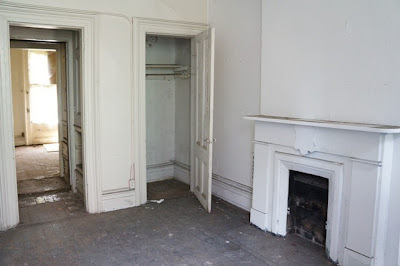 Now I suppose some god-awful heiress will move in with her zombie husband and hollow-eyed children to fill the place with their flat-screen lives. This is how it goes. Labels: 104 E. 10th St.
Just beautiful, inside and out, on one of my favorite blocks. This building IS charming! I love it! And I hope Jeremiah is wrong this time and it's not bought by a guy in finance with a wife in cupcakes and kids in Xbox. a home Bob Villa could love. what a magical place. who wouldn't want to live there among all those amazing spirits. glad it's protected, so it won't be too badly destroyed. This is the kind of fixer-upper I love. I think the house looks beautiful & filled with spirits. Reminds me of one or two places I've lived in over the years. If I had the miraculous luck to live there, I'd touch it as lightly as possible. New paint, sand and seal the floors, scrape the gunk off the bathroom windows, maybe change the bathroom floor tiles, and you're done. And I want those bottles in the Green Room. I agree with 7:49; it's perfect! 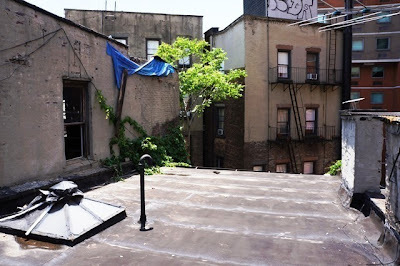 That little comment in tbe Streeteasy ad highlighting the property's air rights scares the hell out of me. 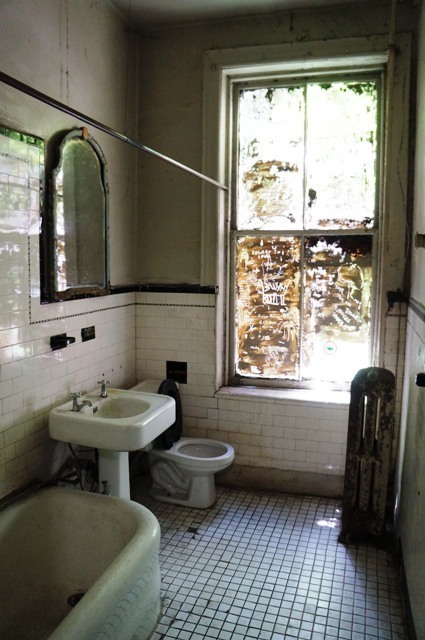 3.9 mil for dilapidated mess.Now I've seen it all. Thanks to Bloomberg who made this once great city for all into a millionaires club. 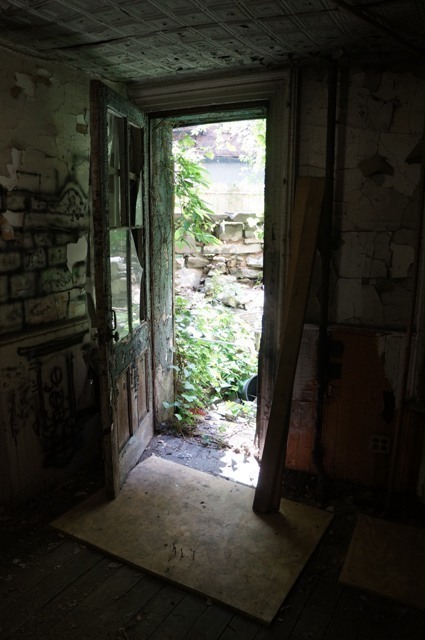 what I wouldn't give to live there just the way it is...there is such richness of spirit in these old buildings. anybody want to go in on it with me? ha!